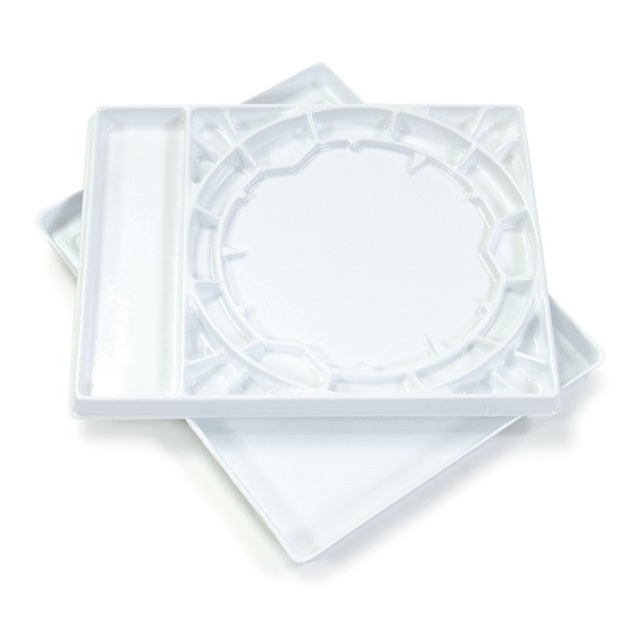 Quiller Covered Palette - The Quiller Palette, designed around the color theories of noted artist Steve Quiller, provides wells for primary, secondary, and intermediate colors as well as twelve extra wells for additional colors. 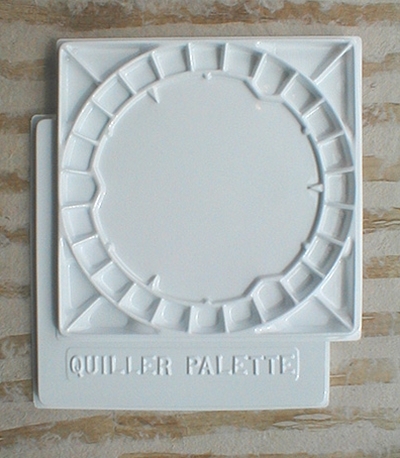 The Quiller palette is equally at home on location or in the studio. 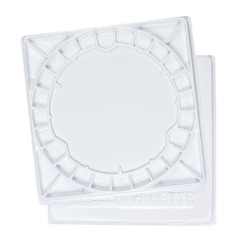 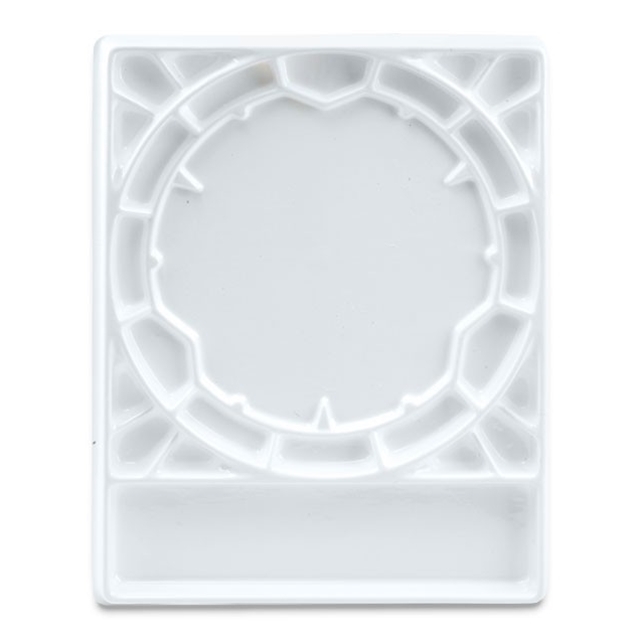 It comes with information on organizing the palette for optimal color relationships and is an essential tool for the watercolorist looking for convenience.